← Walking Dead: Be angry. You’re supposed to be. Yes, there are many video tutorials out there for free. Some are excellent, some not so. It’s really a hit and miss as to how well done they are. I had worked in Blender years ago, back when there was a version 1 (yes, that long ago). After a hiatus from Blender, and realizing the need to update my building skills in Second Life with mesh imports, I took a look at Blender again, and realized I was lost with the new interface. I had also forgotten many of the skills I used to have. So I shopped around for tutorials. I ran across many video tutorials on Youtube, but usually they only addressed tools just for the object they were making, and sometimes assumed you knew the shortcut keys or where tools were located. Then I found a course, “Learn 3D Modeling – The Complete Blender Creator Course” at Udemy.com. It had at least 100 lectures and started you from installation of Blender to modeling some complex things. At first the cost seemed to be more than I wanted to pay, but I signed up at the site and soon the course was available for a huge discount (I think I paid $10 US at the time.) For that cost I get lifetime access to the course. The course is self-paced, so I take an hour for lunch and jump in to do another lecture. Michael Bridges and Ben Tristem that teach the course are professional, consistent, and amazing. They follow up with your questions and check to see how everyone is doing.They update the course all the time and add new materials and lectures (I think they are up to 273 lectures now). So far in the course I’ve created a simple “periscope,” built a model plane, bowling ball and pins, a low poly chess set with board, and an animated lamp. Next I’ll be doing a bunny (with particles for hair, sculpting, etc. 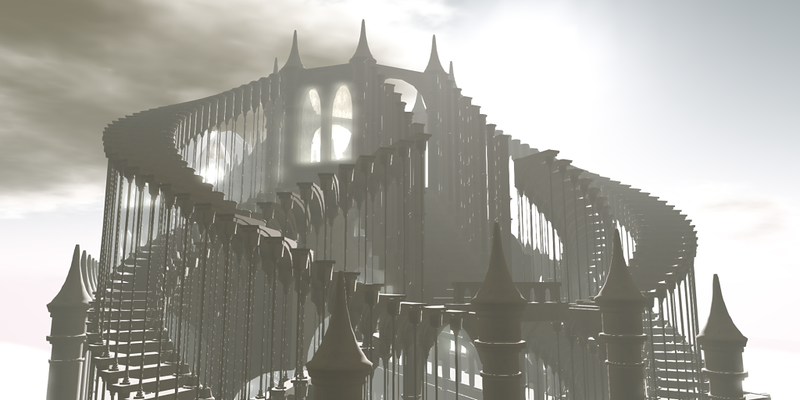 ), then a project for a game asset pack, and a gothic church. Throughout the lectures they keep in mind that you may be exporting your models into another program. The sale price has gone up a little but it is still pennies compared to the instruction and content you get. Want to learn Blender? Sign up at Udemy.com and buy the course “Learn 3D Modeling – The Complete Blender Creator Course.” You’ll get an excellent foundation in Blender and 3D modeling, as well as learn many of the tools available to create those fantastic mesh objects.